Viking has released a special offer for its popular 10-day Portugal’s River of Gold cruise-tour — guests can now fly to Europe in economy class for just $995 PLUS their companion flies for free. This latest deal from Viking applies to all July 2019 and August 2019 departures of the Portugal’s River of Gold cruise from Lisbon to Porto. Prices start from $8,495 per person in a two-room Veranda Suite (AB). 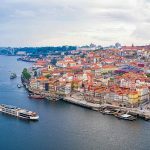 “This deal is fantastic value for money, especially since our Portugal river cruise is one of our most popular itineraries,” said Lubica Sibikova, Operations and Product Manager at Viking. “Guests are encouraged to book now to avoid disappointment as this offer is only valid for a limited time and staterooms are booking out fast,” she said. In Portugal, guests will experience the renaissance of Lisbon, visit two of Iberia’s oldest university towns and roam the port warehouses of Porto. 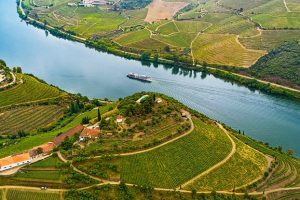 Cruising the Douro River Valley, the world’s oldest demarcated wine region and a UNESCO World Heritage site, guests will also get to enjoy a full-day excursion to the ancient city of Salamanca in Spain.